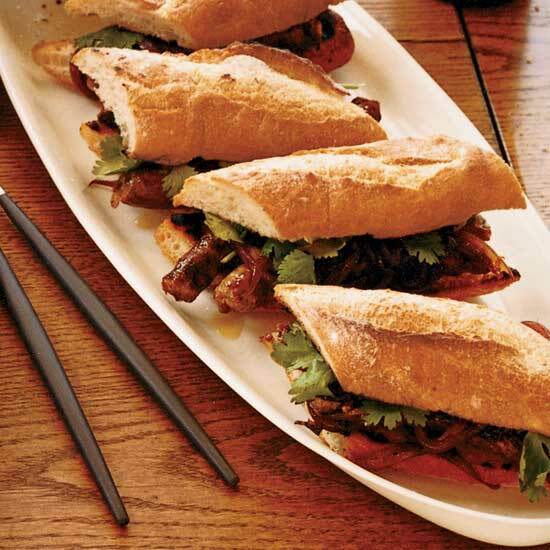 These bite-sized dishes include mini burgers, classic cheese fondue, and a tangy beer-based sangria. 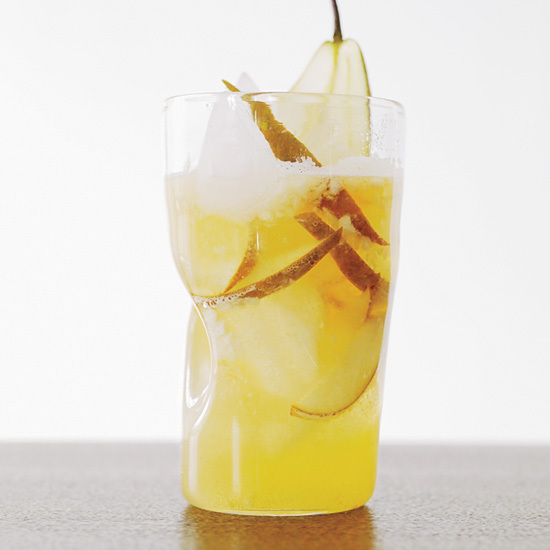 The origin of this classic rum cocktail is one of the great debates in tikidom. Both Ernest Beaumont-Gantt (a.k.a. 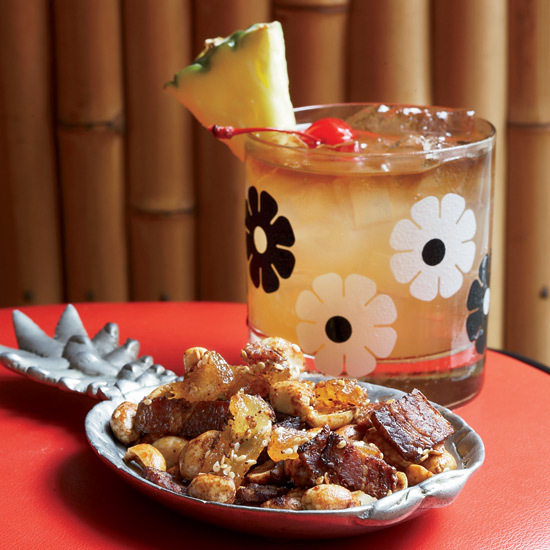 "Donn Beach," the father of tiki culture) and Trader Vic founder Victor Bergeron lay claim to its invention. 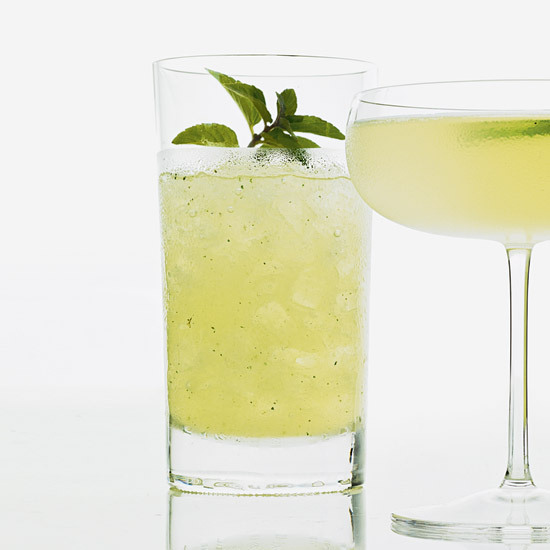 This version borrows from Beaumont-Gantt's recipe, which adds dashes of Pernod and Angostura bitters for complexity. These little burgers, listed as a side dish at Stand, are about half the size of the restaurant's standard ones. 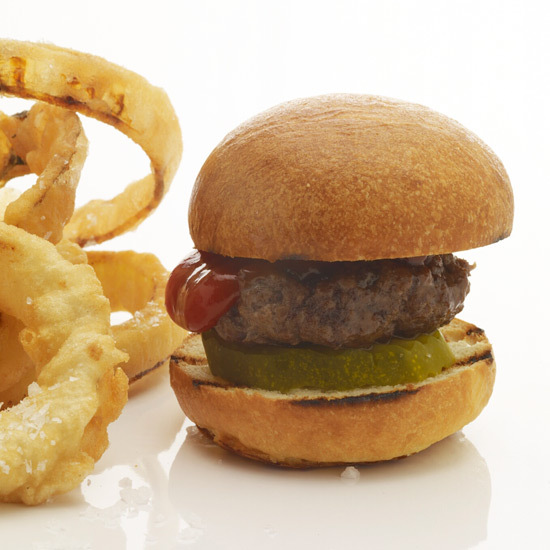 Like their larger counterparts, the mini burgers are extra juicy because they're made with a mixture of meats, including ground chuck and short rib. The accompanying onion rings are unbelievably crispy, thanks to the club soda in the batter. 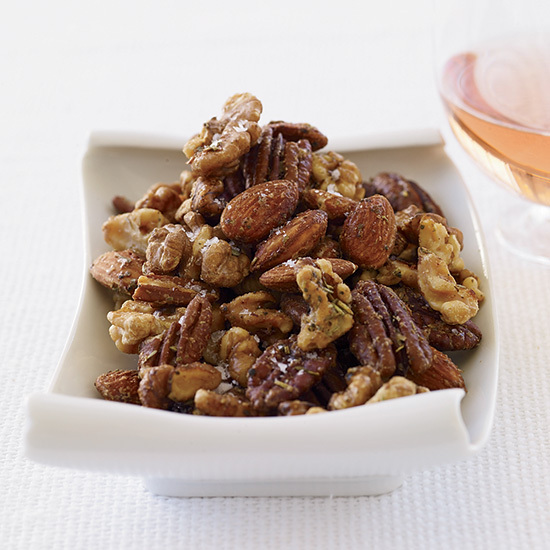 Pair this dish with a light, nectariney Pinot Grigio. 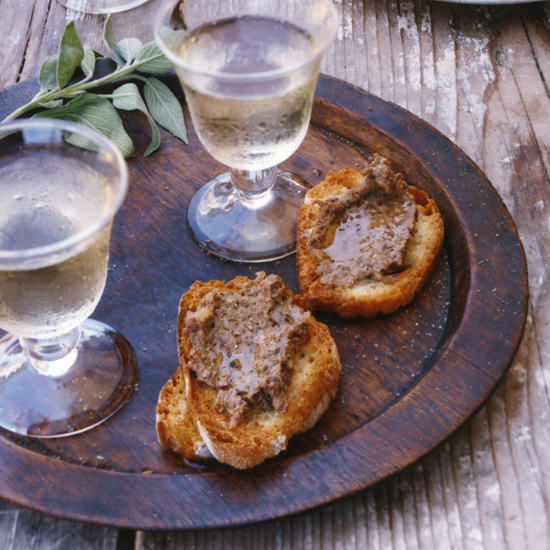 This is a simple, classic Florentine chicken-liver pâté, which can be prepared in a coarse or smooth style. 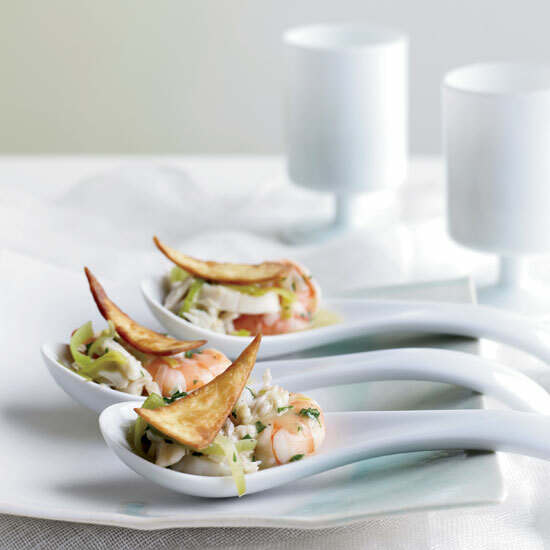 To make the rustic recipe here more elegant, Marco Canora suggests processing the cooked livers until very smooth, spreading the pâté in ramekins and topping it with a layer of chicken fat. A block of raspberry ice releases berries into the bowl as it melts. 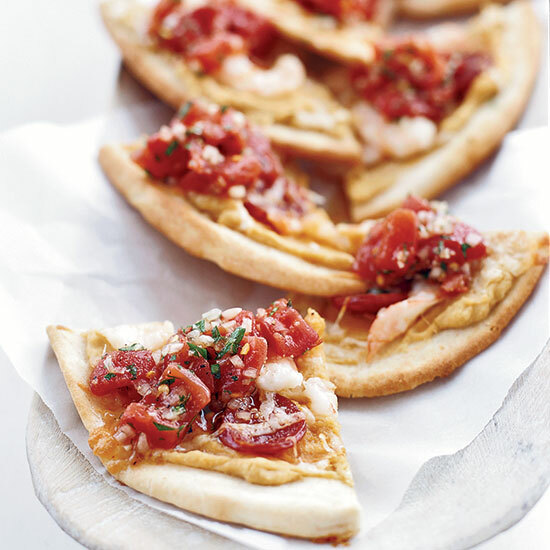 Store-bought pitas are topped with good-quality prepared hummus, fresh shrimp and spicy slices of chorizo. 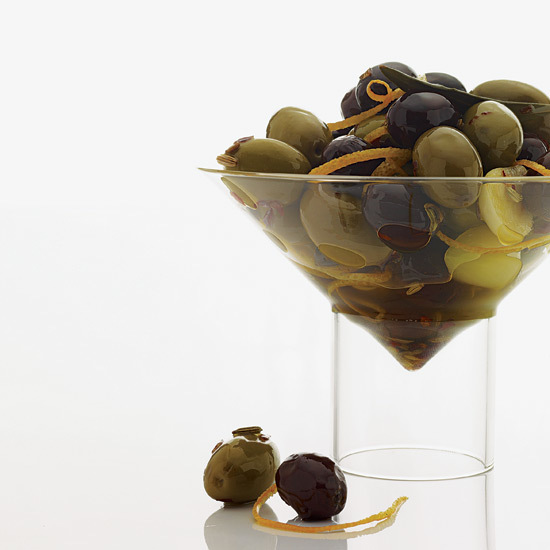 These spicy olives are infused with fennel, a favorite flavoring of chef Trey Foshee. 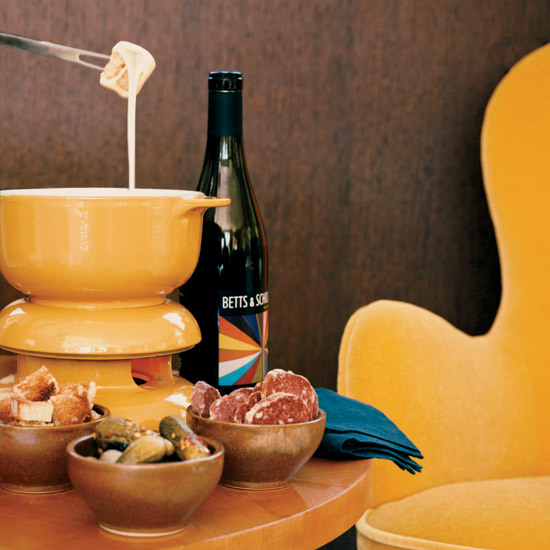 Chef Ryan Hardy makes his luxurious fondue with two kinds of Swiss cheese (Emmentaler and Gruyère) and two kinds of spirits (white wine and Kirsch), all traditional ingredients. Some of the dipping items are also classic, like cubes of crusty bread and pickles, but some are unconventional, like slices of Hardy’s salami and other hearty house-cured charcuterie, which are all wonderful with the winey fondue. 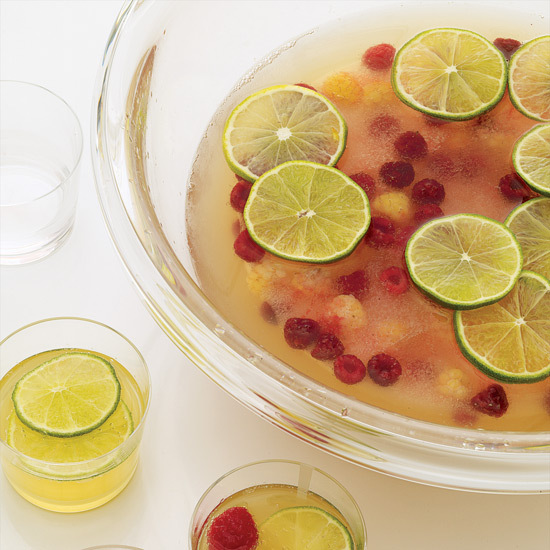 This tangy beer-based sangria was inspired by a British customer's request for a shandy, a refreshing blend of lager beer and lemonade or soda.